Dr. Camille Huggins, is a contributing faculty at Walden University Barbara Solomon School of Social Work and Human Services in the Social Work program. Her research interests are older adults, migrants, death and grief. 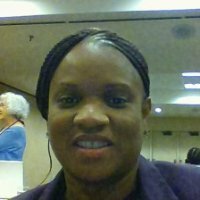 Dr. Huggins obtained a Ph.D. in clinical social work from New York University in 2013 and a Master’s degree in Social Work from Columbia University in 1995, both schools are in New York, New York. Prior to moving into academia, she worked in administration at various healthcare facilities for over 15 years.